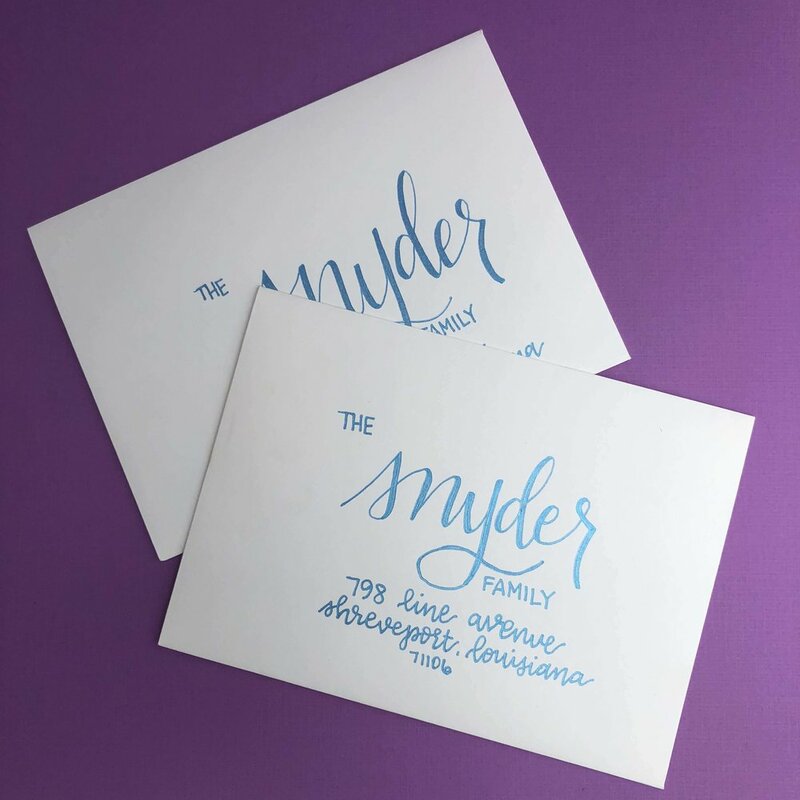 Below are examples of each style of envelope calligraphy I offer. I can do both pointed pen and brush lettering. Feel free to contact me for my pricing list.